The Korean phone maker just announced it will be hosting an event in New York on October 3 to unveil the V40 ThinQ. This will be followed by a second event in Seoul, South Korea on October 4. The invitations to the release party have been sent out and LG also rolled out a 10-second video to tease the new camera on the V40. While LG doesn’t explicitly say in the clip, it does hint towards the fact that the phone will arrive with a triple camera setup. Other than that, we expect the phone to arrive with a Snapdragon 845, 6GB of RAM and a 3,300 mAh battery. 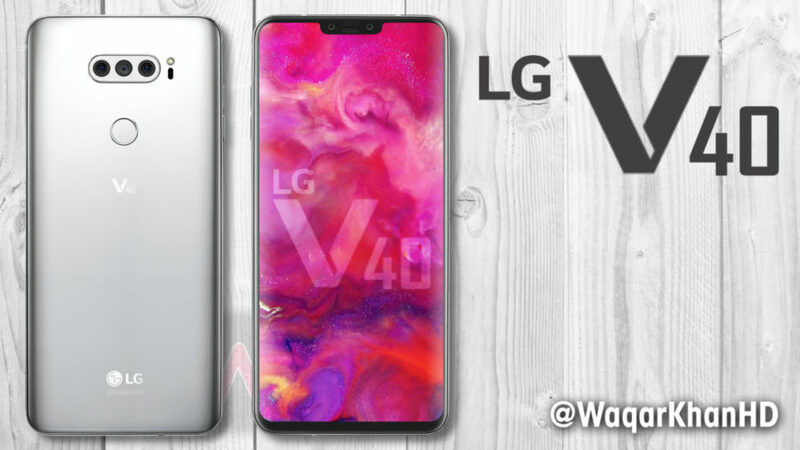 But in contrast to the current LG V35 which features a classic display, the V40 will apparently take advantage of a notched display. According to a source, the phone will boast a screen-to-body ratio of up to 90%. LG hasn’t confirmed any of this so far, so some things might turn out to be a little different when the company finally gets around to launching the device. So if you want to know the full story, don’t hesitate to tune in on October 4. As we told you above, October is shaping up to be quite a month for smartphone lovers. Google is all set to unveil its next-gen Pixel phones on October 9. Then Huawei is also expected to unleash its Mate 20 lineup on October 16. Last but definitely not least, if rumors are true, OnePlus could end up unveiling its next-gen flagship, a day after Huawei’s event. The company hasn’t confirmed the date it, but chances are we’ll see the 6T make a debut on October 17. Which of these flagships are you looking forward to the most? Let us know in the comment section below.